Wanted to follow on from my last post regarding my top picks from Net-a-Porter and show how I styled a few of the pieces! I have included three looks which are really easy to pull off and you can switch up the accessories. You will have already seen a few of these pics on my Instagram but I wanted to share some close ups too. First up is this FAB leopard print faux fur jacket. 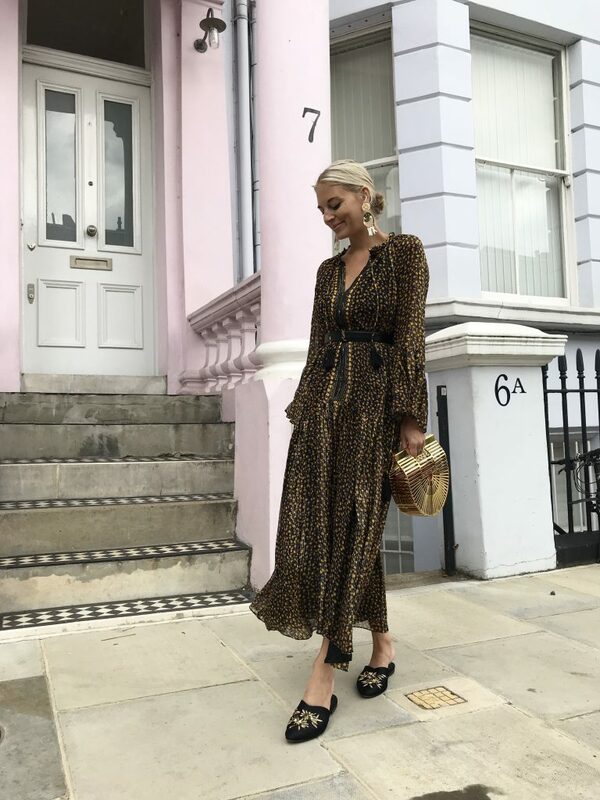 My leopard print obsession knows no bounds and I always say it but I will say it again – leopard print is a total neutral in my eyes. You can wear it in the summer and winter. Add subtle hints through accessories or go all out with dresses and jackets. 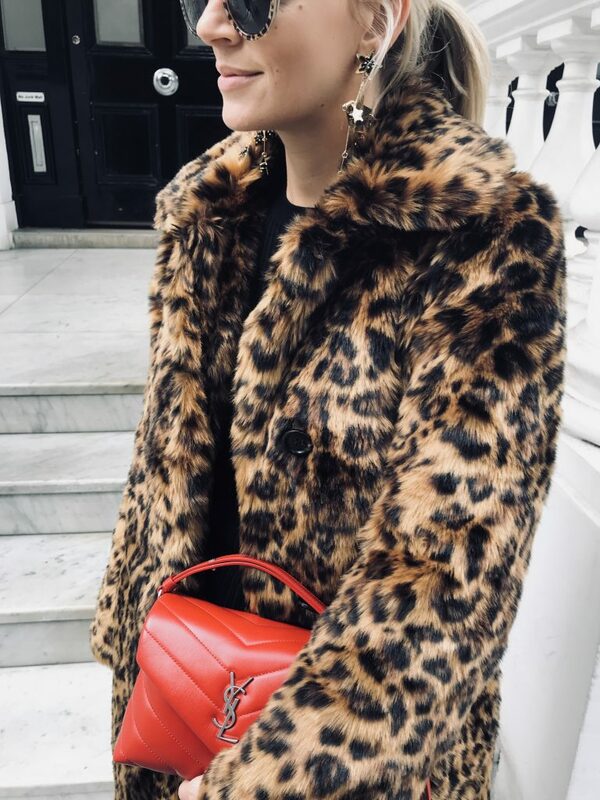 And faux fur plus leopard is such a winning combo. This coat is a really great price point too and so cuddly and warm! I paired it with the YSL red bag – the leather is so soft and it fits all the essentials in but is dressed up enough to wear on a date night too. Just love those pops of colour in the winter. Next up is this beautiful Ulla Johnson dress. This brand is boho perfection and this dress is such a great transitional piece that can easily be paired with boots once it gets colder. You can also wear it unbelted – looks really lovely with its more flowing relaxed shape. This season is all about layering – so you could add a thick knit on top or an oversized chunky cardigan. And the earrings are by my fav Mercedes Salazar – such a pretty statement pair. This post is a paid collaboration with Net-a-Porter but all the words and choices of clothes are my own.